Riders may board the bus at any one of the planned stops and depart at any designated stop on the route. 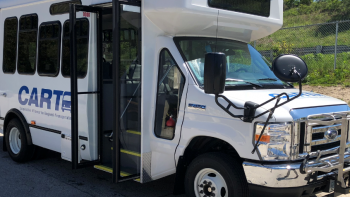 The Salem Shopping Shuttle is a pilot route deviation service operating Mondays, Wednesdays and Fridays between the hours of 9:15 a.m. and 2:30 p.m. 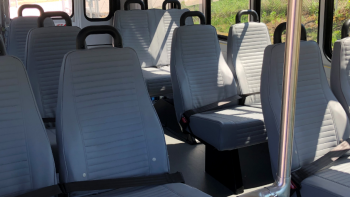 There is no fare to ride the Salem Shopping Shuttle, however, donations are appreciated and help to defray the cost of running the service. 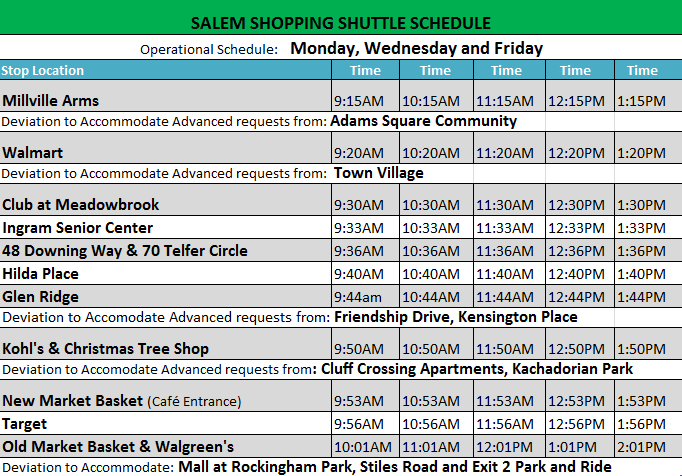 Route Deviations: If you live within a 1/4 mile of the planned route you can arrange to have the Salem Shopping Shuttle pick you up. When you call to schedule your ride, please indicate if the trip is one-way or round-trip. 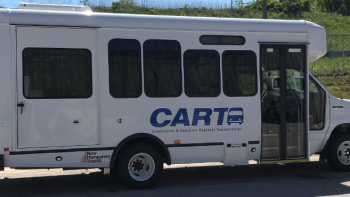 Rides must be scheduled in advance by calling 603-434-3569 the day prior to your trip no later than 5 p.m.
Route deviations are allowed for pick up at residences as well as for drop-off at deviation destinations located along the scheduled route. Return trip must be from original drop-off point to original pickup location. Passengers are asked to be ready 10 minutes prior to scheduled pickup time as the bus cannot wait. Deviations upon demand will not be honored. All route deviations must be pre-scheduled to provide maximum seating capacity for the general public. No flag stops or hailing from the street are allowed.